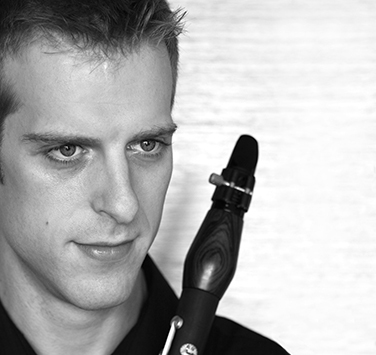 Originally from Maple Ridge, British Columbia, clarinetist Graham Lord is in demand across the country as an orchestral and chamber musician. He was Principal Clarinet of Orchestra London from 2008-14, and is proud to continue in this role with the newly-formed London Symphonia. During his tenure with the ensemble, Graham has been regularly featured as a soloist and chamber musician, notably in works by Mozart, Copland, Brahms, and Martin. Recently, he has performed with the symphony orchestras of Toronto, Vancouver, Winnipeg, Kitchener-Waterloo, Windsor, Niagara, and Thunder Bay. Having also played with Symphony Nova Scotia on many occasions, he is delighted to be joining the orchestra for the 2017/18 season. Graham holds degrees from UBC (Bachelor of Music) and McGill University (Master of Music), where he studied with Wesley Foster and Robert Crowley. He has also benefitted from coachings and master classes with artists such as David Shifrin, Richard Stoltzman, James Campbell, Alain Desgagné, the Berlin Philharmonic Wind Quintet, and members of the Tokyo String Quartet. In his final year of studies, Graham was a first-prize winner of the CBC/McGill concerto competition. His performance was hailed as a “triumph” by the Montreal Gazette, citing his “formidable technical command” and describing his sound as “bright, direct and perfectly suited to Copland.” Graham is grateful for additional training experiences such as his coast-to-coast tours with the National Youth Orchestra of Canada (2005-06) and the Hamilton-based National Academy Orchestra (2007-08). He also received a fellowship in 2010 to attend Norfolk, Yale University’s summer chamber music festival. In recent summers, Graham has traveled to Sulmona, Italy with members of the Toronto-based Aradia Ensemble to form the orchestra for the COSI opera festival. He was featured as a soloist and chamber musician at the Scotiabank Northern Lights festival in Ajijic, Mexico. Graham has also performed with groups including Continuum Contemporary Music, Opera In Concert, Allegra Chamber Music, Essential Opera, Serenata Music, and the Light of East Ensemble.